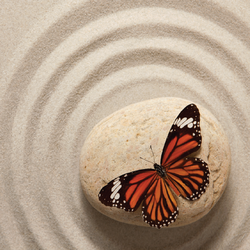 Through personal consultations, intuitive readings, empowerment courses, self care products and the support services that bring it all together, it is our hope at ﻿Take Wing﻿ to facilitate women's dreams through personal empowerment principles, self love alignment and self care actions, effectively creating a better world for the greater good. ​"The path of Self Discovery allows the Light of Truth to illuminate our True Self and we ​are Set Free." The natural balance of male and female energies have been askew amidst a prevalence of patriarchal societies for millennia. We empower women to take full responsibility for their lives, their mental and emotional states, and give them the tools to create a life based on Self Acceptance, Self Love and Personal Power. Take Wing takes you there. Self Care Products facilitate your journey with more ease, a plethora of personal possibilities, rockin' results, and hopefully a lot more fun! Healthy, healing, heartfelt choices from top to toe, brain to mane, face and body, inside and out. These creative solutions integrate the whole you - BODY+MIND+SPIRIT - in all you do. Nutritional supplements, weight management, cosmetics, skin care, aromatherapy, energy and performance boosters - its all here to help you find the right experience at the absolutely right time in your life - that would be NOW. FREE skin care consultation is available. 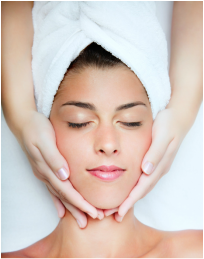 Our skin care experts stand ready with your free consultation to help you find just the right fit for your particular needs. Peruse the Self Care Store to see what we have on hand. Whether you're an athlete or artist, mother or maven, take a look around - you may want to integrate more than just skin care! 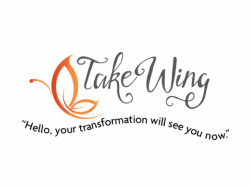 Personalized Transformational Pathways help you expand your comfort zone to engage the world on a level you've only dreamed of - while within the safety of the nest, the Take Wing Community. 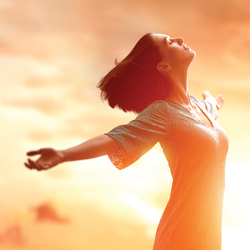 We empower you to be your own Hero with essentials such as our life-changing courses, consultative services, personal products, supportive experts, and the opportunity to live into your highest and best life every day. What better way to begin this journey than with a healthy dose of Self Love. Not sure what you need? Can't quite put it into words? Go straight to our free Self Discovery consultation to learn more. Together we can effect positive change. By reaching out to just one woman, you can make a difference in the world. Who is she, you ask? You've already bumped into her today. She's the one that stares back at you when you brush your teeth. And we'd very much like to meet her. and much much more! Click here to learn more. If you would like to host one of the above as a charity event for your group or non-profit, contact us for details and scheduling. Customized events for any occasion are available. “One ship drives east, another drives west, with the self-same winds that blow. ‘Tis the set of the sails and not the gales which tells us the way to go. Like the waves of the sea are the ways of fate, as we voyage along through life. "What one thing could I do to make a difference in the world?"